An auction record at US$871,000. 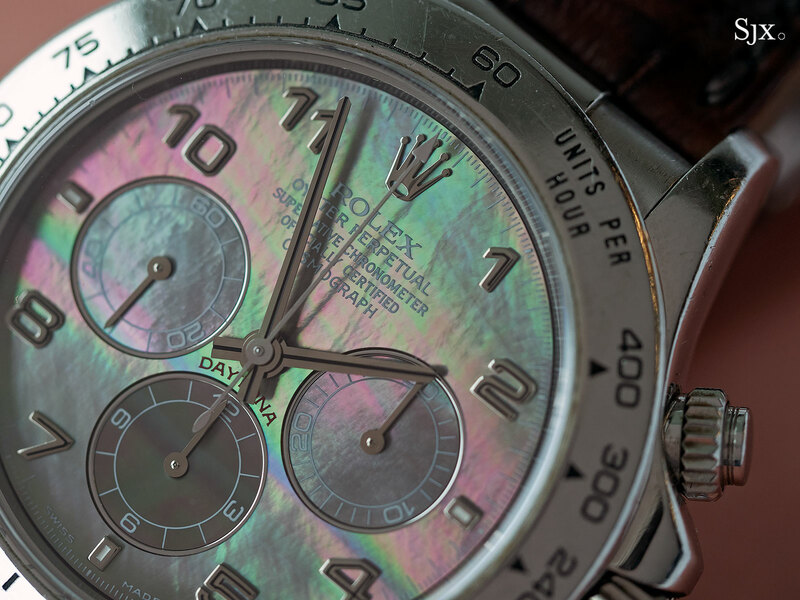 Originally produced for the long serving chief executive of Rolex, Patrick Heiniger, who passed away in 2013, a one of a kind Rolex Daytona in platinum just sold at Sotheby’s for a record sum of US$871,348. While the platinum Daytona powered by the in-house cal. 4130 is a standard model in the current catalogue, only five Daytonas with Zenith El Primero movements were ever made. All five were commissioned by Mr Heiniger, who gifted four watches to business associates and kept one for himself. 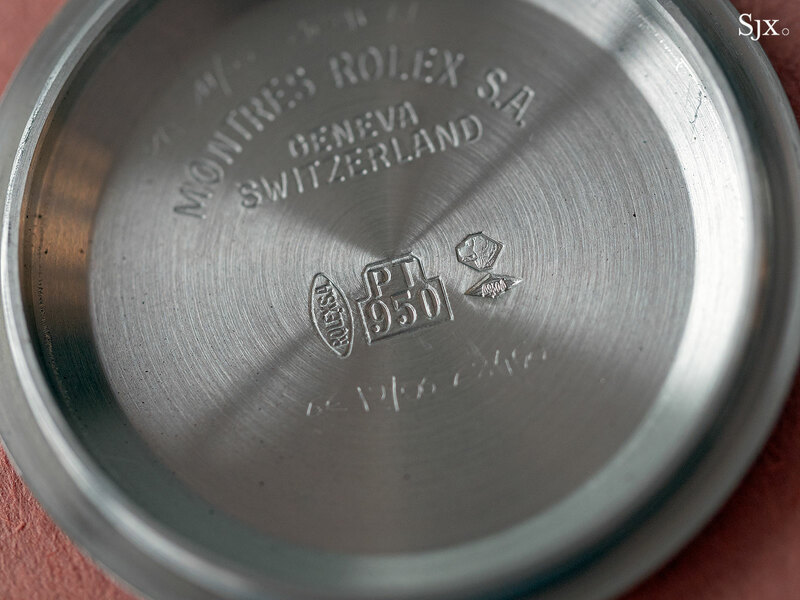 While all had the same platinum case, sharing the same reference 16516, each had a different dial, making each watch completely unique. 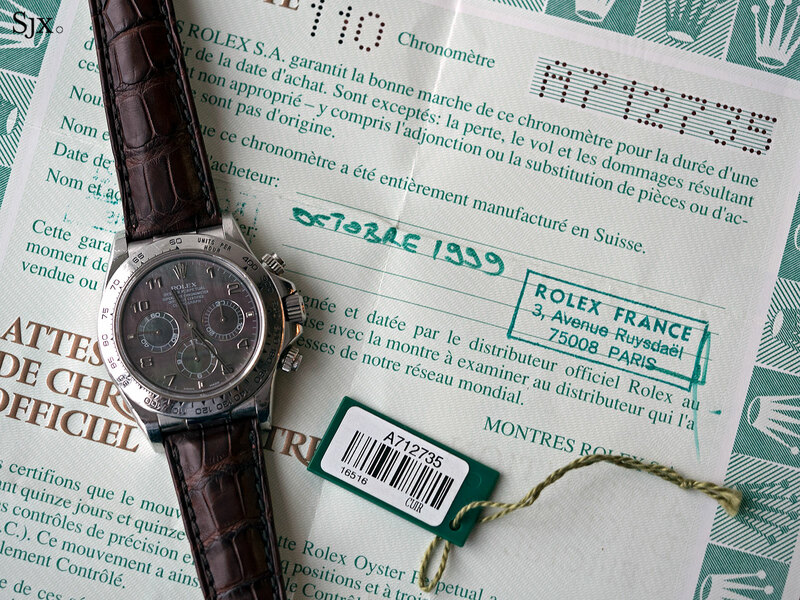 The example that sold at Sotheby’s has a black Tahitian mother of pearl dial, and is the first platinum “Zenith” Daytona to ever come to market. 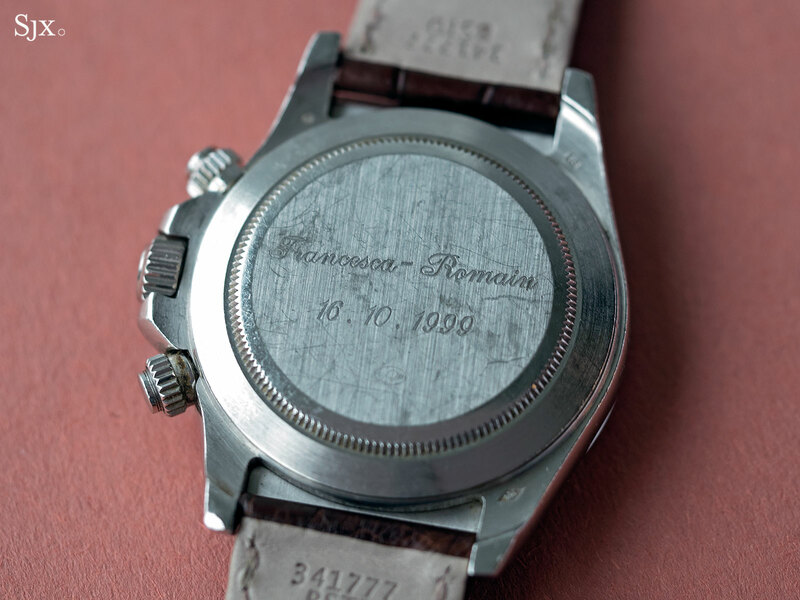 Mr Heiniger presented the watch to Francesca Gobbi and Romain Gourdain when the pair got married in October 1999, explaining the engraving on the case back. The Rolex connection comes from Ms Gobbi, whose family owns Gobbi 1842, a watch retailer in Milan that is one of the oldest in Italy. For the complete background and details of the watch, see the story we published earlier. Determined bidding between clients represented by Sam Hines and Daryn Schnipper, respectively the global head and chairman of the watch department, as well as one bidder in the room, saw the price rise in measured but steady increments. The bids swiftly crossed the high estimate, and then some, with the hammer coming down at HK$5.6m. With buyer’s premium the total is HK$6.84m, or US$871,348. That makes the watch the most expensive modern Rolex (essentially any model with a sapphire crystal) ever sold at auction by some margin (though it is known that another unique, “Zenith” Daytona changed hands privately for an even larger sum). A white gold, 37mm Simplicity sold for a record - which might be rivalled very soon. The last Emperor of Vietnam's Rolex watch sells for over US$5m in Geneva.